Who doesn't love a nice curry and a pint? We at The Idle Man absolutely love curry so we decided we'd set ourselves the hard task of picking the best curry houses in London. Take a look and see what we found. Curry. Arguably Britain's favourite dish and the giver of life on a hangover, the humble curry is now a fundamental part of British culture. It's hard to imagine a life without a jalfrezi, madras or vindaloo and frankly, we'd rather not. 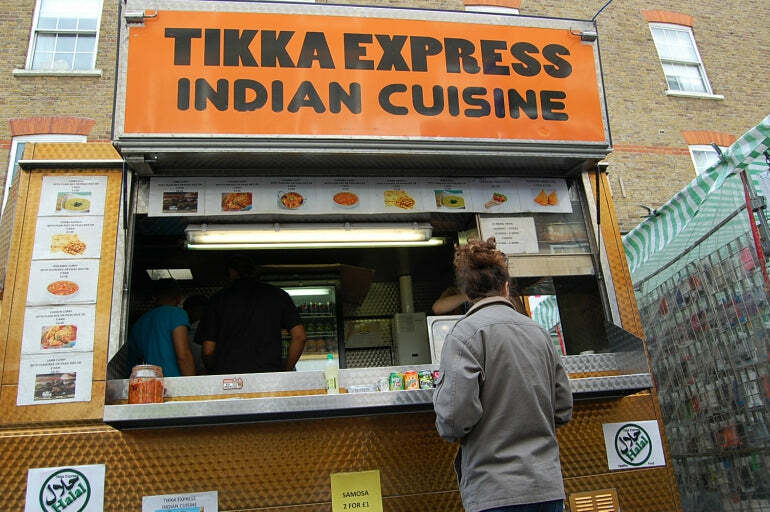 When it comes to curry restaurants in London there are more in the city than Bombay and Delhi combined. That's a pretty ridiculous stat and, if we're honest, we're not surprised (there's over 20 on Brick Lane alone!). When it came to deciding where we would go to start this list, we'd honestly didn't know. Thankfully, we started in the heart of East London and worked our way around the city. These restaurants are in absolutely no order because, well, we just couldn't decide. Take a look at our attempt at picking the best curries in London. About: Cinnamon Kitchen opened in 2008 and brings a new wave of culinary innovation and experimentation to the city of London. The high-energy, theatrical dining room, with its open tandoor grill, offers people an interactive dining experience and is as much a part of the Cinnamon Kitchen experience as the memorable food. 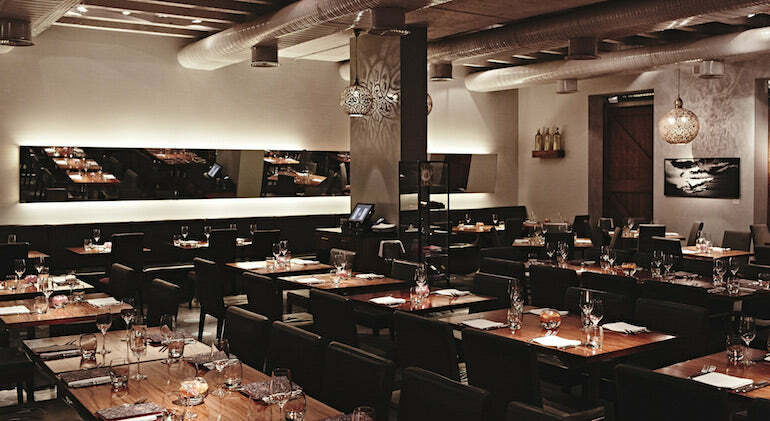 Cinnamon Kitchen is now a key part of the vibrant and dynamic food scene, which makes this part of London so exciting. Head Chef Ramachandran Raju at Cinnamon Kitchen, has worked in the kitchens of both The Cinnamon Club and Cinnamon Soho. With a commitment to Cinnamon that has lasted more than a decade, combined with a dedication to culinary excellence and a flair for creative presentation, Cinnamon Kitchen provides the perfect showcase for Ramachandran's talents. Top Picks: Grilled lamb fillet with mustard green and cornmeal bread taco, Chukka spiced 35 day dry aged Hereford beef rump steak with Tellicherry pepper sauce and masala chips, spiced pistachio cake with peanut ice cream. Atmosphere: The atmosphere for such a fine dining restaurant is incredibly relaxed. Fantastic food is met with impeccable service across the whole of the space, with every want and need being catered to with no hassle. 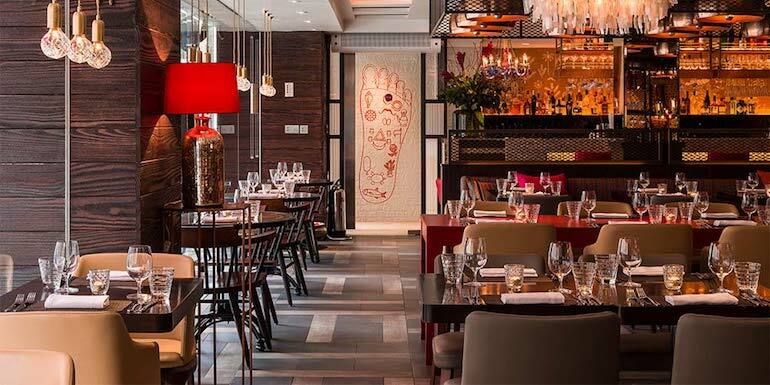 Cinnamon Kitchen is one of the true gems on traditional yet modernised Indian cuisine in London. To see more of Cinnamon Kitchen head to their website. About: Calcutta St is one of two locations of this authentic Indian resataurant with the second located in the upmarket Fitzrovia. Bringing traditional Indian food, or in this case Bengali, to the UK is a task that's been completed couhntless times. But, having an authentic edge is something that falls through the net, and Calcutta St gives you that expereince. 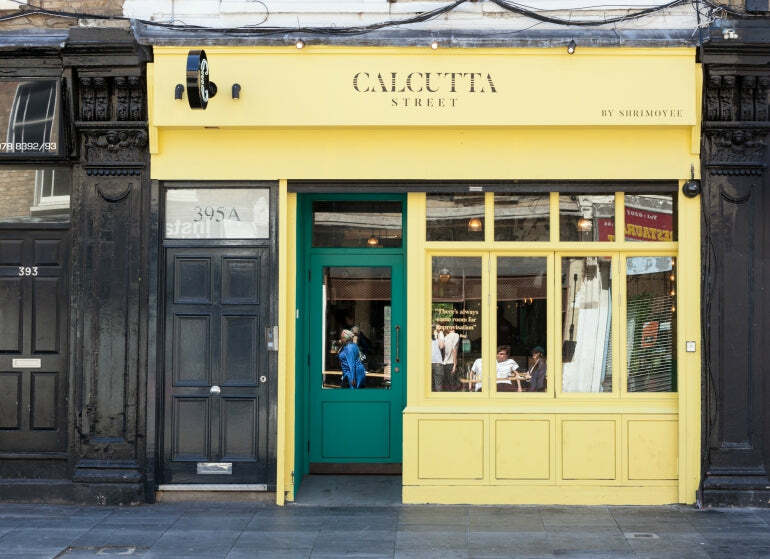 With dishes streeped in history, authenticity and no doubt family tradition, Calcutta Street makes up for every dodgy Indian you've ever had. Founder Shrimoyee Chakraborty reflects on her childhood with fond memories of food and her family, and you can see this in her dishes as each one looks as if it's been made with the same attention and love that her mum used. A real gem in the heart of Brixton, and, as a resident of of SW9, I can say it's one of the best restaurants in this upcoming district. Top Picks: With any restaurant it's good to get the staff's input, so myself and my companion put it to the test asking what she recommended. Heavily knowledgeable, she recommended the Lamb Biriyani for myself and the Prawn Malay Kari for my friend. Atmosphere: Relaxed and friendly. The staff were welcoming and we were looked after from the word go. That's what I love about smaller, family run restaurants, it's a sense of welcoming and as if you were in their own home having a meal. The drinks flowed and the food was consumed with the utmost delight. A restaurant I've recommended to everyone since going! About: If you've ever had a conversation with a true Londoner then they will always say that Petticoat Lane Market was the crowning jewel in London's East End. With decades of history behind it, Petticoat Lane Market is a real must-see if you're ever visiting the captial, simply for nostalgia's sake. However, what most people wouldn't know is that adjourning to the famous market is the even more popular food market love by locals, tourists and everybody who works in the area. The gem, for me anyway, is the Indian Van situated at the very top. 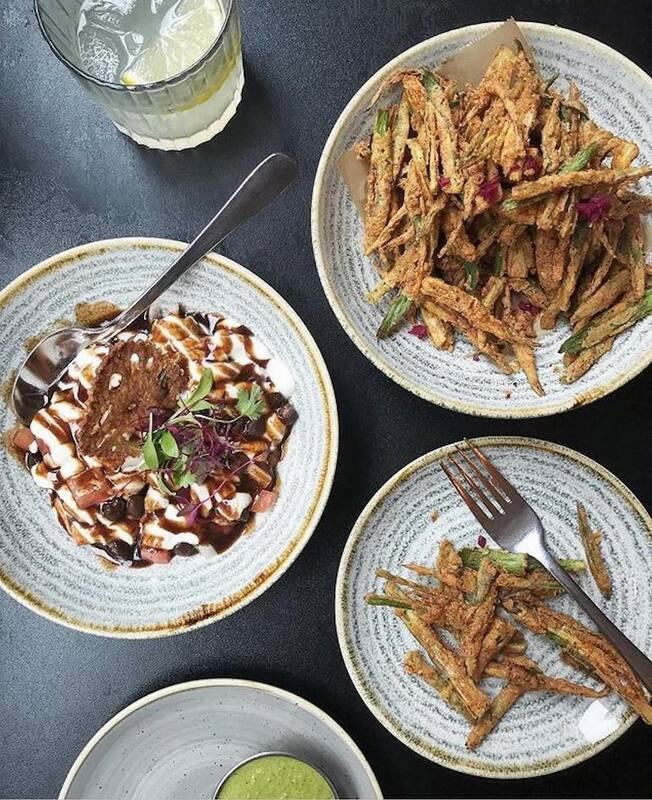 You can hear them before you see them as anyone who goes by is accosted with a selection of Indian favourites, each full of flavour and suited to British tastebuds. Top Picks: The Tikka Naan, for £5 you get the Tikka Naan and either two samosas or one samosa and a drink. Hands down one of the greatest creations that's up there with oxygen and running water. Simply put it's the meat from the chicken Tikka wrapped up in a large naan bread and smothered in onions. Your co-workers may not appreciate it, but you certainly will. Atmosphere: Like most of Petticoat Lane, the atmosphere is absolutely buzzing, but because it's a food van, you're not going to get the michelin star treatment. It's order, get it and go. There is some optional seating around the corner, but it's best to take it back to somewhere with cutlery. Where: 9 Marshall St, Soho, London W1F 7ER (although there are seven across the capital). About: When it comes to grabbing a curry in London, your first thought might be to head down to the famous Brick Lane where curry houses are in abundance. Yet think again, because you can find just as good a curry more central so need to make the excursion east if you are already in Soho. Also, when heading out for a curry, you might not think to go to a chain restaurant and might want to seek something more authentic. Hear us out though, because Masala Zone, which is in fact a chain restaurant, offers some of the best Indian dishes out there. Situated just off Carnaby Street, at first thought you'd probably be expecting Masala Zone Soho to be a tourist haven, full of budding shoppers and eager photographers. Yet that's not the case at all and instead it is slightly hidden down Marshall Street and away from the hustle and bustle of Carnaby. The restaurant itself is relaxed with an oriental interior throughout. The service is next to none and is some of the best we've ever received - the staff are insightful and know plenty about the food they're serving, which may come as a given, but how many restaurants have you been to where the staff have known little or shown little care towards what they're doing? Probably quite a few! Masala Zone is different though and you will get a proper service worth paying for. When it comes to the drinks, the cocktail menu at Masala Zone is one of the most unique we've ever come across. While we're sure you can request them, you won't find any of the old classics on the expansive list. Instead you'll find a menu adorned with mixes that include ingredients you'd actually usually find in a curry - don't fret though, as they're just as delicious as your old favourites. Think a spin on a gin and tonic, but with added spices or a Masala ginger mojito. If you fancy something a bit lighter, then perhaps a Mango bellini will be the perfect accompaniment to your starters. Speaking of food, Masala Zone truly does offer one of the most eclectic menus out there. If you're going as a pair, we recommend that you share a fair amount of starters (maybe 5 or 6) as they are quite small. If you're coming alone, we recommend having maybe 2 to yourself but really the best thing to do is share as then you get to taste more of the menu. Our top picks are the shrimp bahjis, tempura prawns and dahl. When it comes to mains, we heavily suggest getting a Tahli. 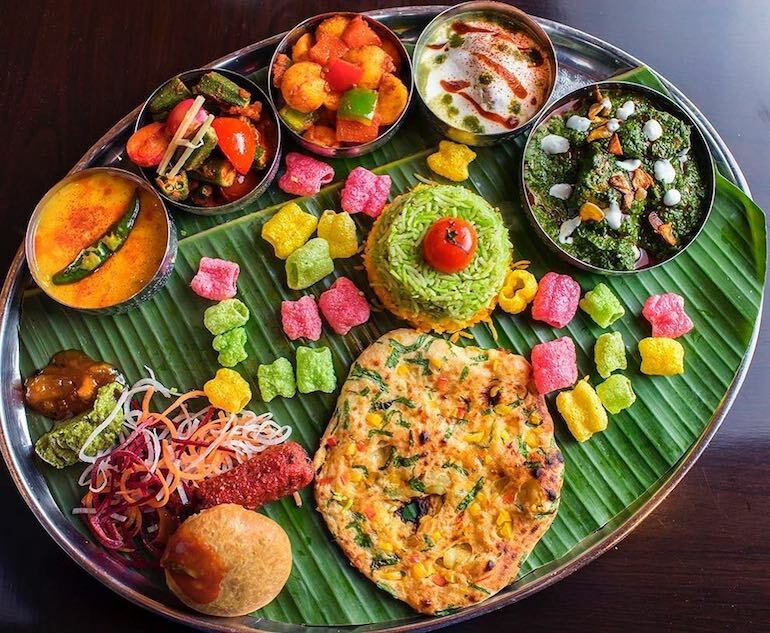 These are traditional to Indian culture and really give you a taste of all the best bits on the menu, all on one handy platter. We went for one of the buttered chicken curry and one of the Alleppey prawn curry which comes in a coconut and tamarind sauce. These come with a selection of sides from dahl to potato curry, a variety of chutneys and you can choose between rice and chapatis. Price Range: The meal itself will probably come to around £50 per head (if you factor in cocktails too) which when you judge this compared to the amount of food you get, it is actually a really good deal. Top Picks: Alleppey prawn curry (as part of the Tahli) and shrimp bahjis. The poppadoms and selection of chutneys and sauces were also an excellent choice and kept us going inbetween courses. One thing we would say is that none of the food was particularly spicy, so if you do have a taste for something a little hotter, we recommend asking the waiter to let the chef know. Atmosphere: Lively and relaxed - perfect for families or a boozy catch up with friends over proper Indian food. 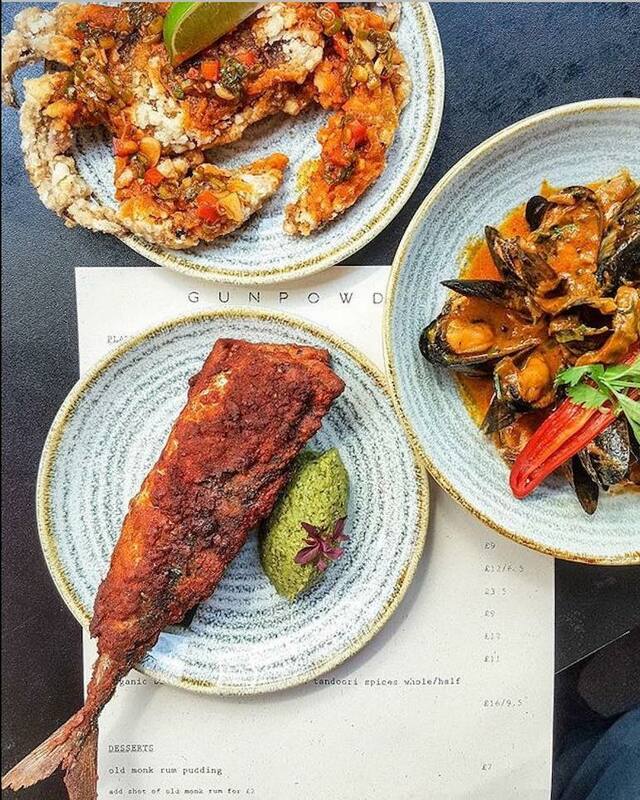 About: Gunpowder is undoubtedly the future of Indian restaurants in the city. No longer is grabbing a curry just about getting a pint with the boys and getting a check one from your local curry house. Again though, you may think to head down to Brick Lane, but there all you'll find is more of the same where an After Eight mint after dinner is the norm. Now things have stepped up a notch and Gunpowder is leading the way with the revolution. Situated not far from Brick Lane in Spitalfields the restaurant is a small family-run business. The head chef is none other than Nirmal Save who was once a chef at Mayfair’s Tamarind restaurant. Price range: A spend of about £40 per head. Top picks: The food itself focuses primarily on small plates, in an effort to take away the traditional curry you might find. 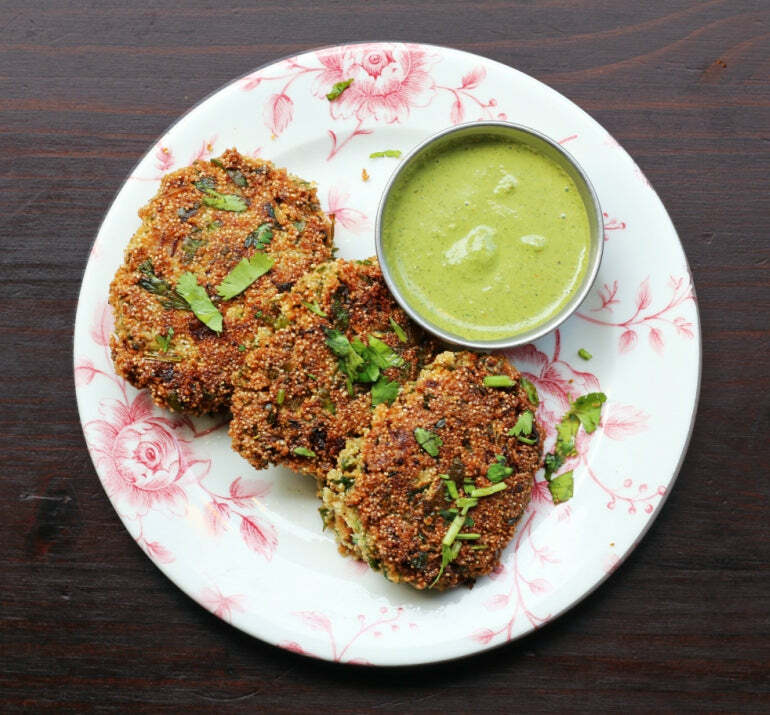 Gone are the heavy naan breads and extra creamy sauces, and instead the menu focuses on a series of small plates. 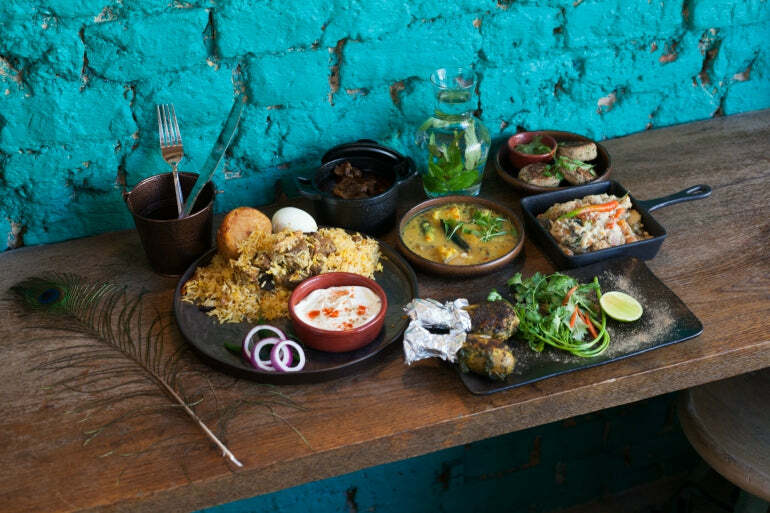 The menu boasts around 20 dishes that come from all over India. 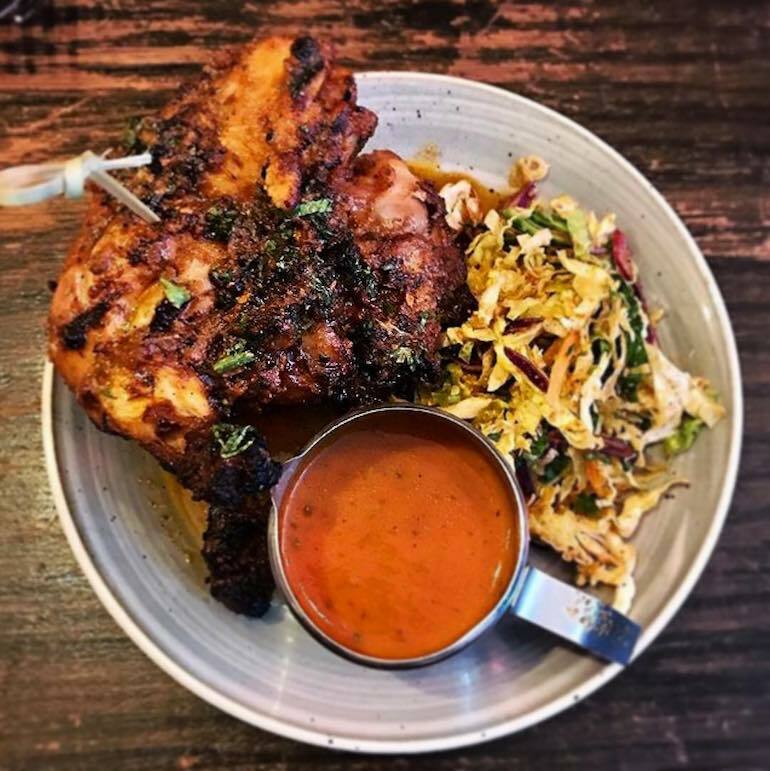 We were particularly impressed with the chettinad pulled duck, karwari soft shell crab saag and the baby chicken chargrilled in tandoori spices. We were also particularly taken by Gunpowder’s version of the dosa! We'd recommend getting around 8 plates to share, especially if you're hungry! What we enjoyed most was the complexity of the dishes - each mouthful gave a different spice infusion, something you don't get down Brick Lane. 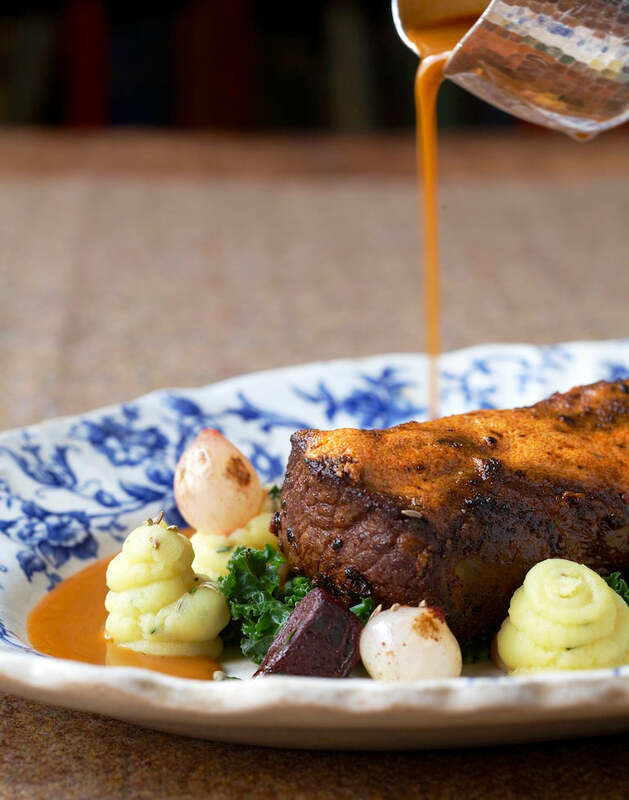 Atmosphere: While you may expect it to be somewhat pretentious - especially with its background coming somewhat from Mayfair - Gunpowder is anything but. Instead it offers a hearty and inviting atmosphere that reflects the family-run business. About: Motu, a name derived from the affectionate Hindi term for “Fat Man”, serves indulgent home style Indian food, paying homage to the British love of a classic Indian takeaway. With a nod to the “dabbawalas” of India, who would traditionally deliver a packed meal for workers across Indian cities in what became known as a tiffin. Motu is a takeaway restaurant with an edge and here’s why. 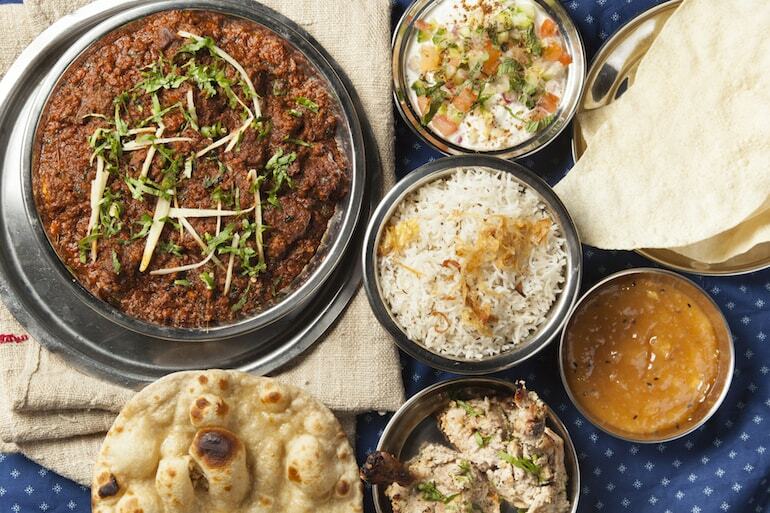 The fantastic range of classic Indian dishes using British ingredients and traditional cooking techniques, means that this is a different kind of Indian takeaway. Restaurant quality food, delivered to your door, meaning you can have a night out whilst having a night in. Although there are only a few branches at the minute you can guarantee that there’ll be a few Motu’s in London if they carry on with their success. Now, Motu has announced the launch of its large party delivery service. 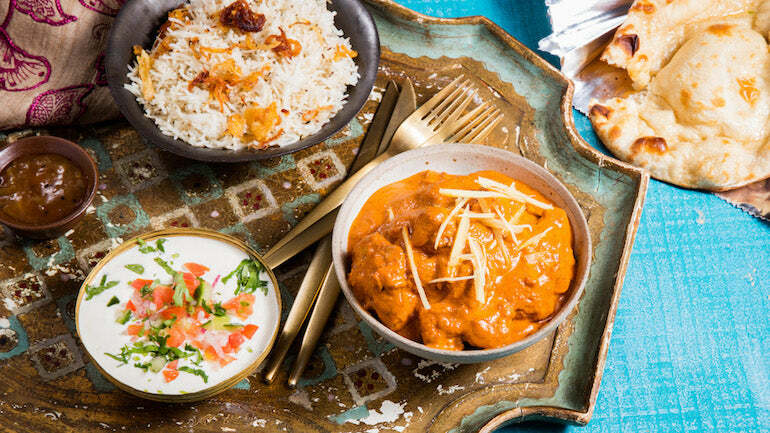 The service will allow customers to order refined versions of British Indian takeaway classics to any area of London with a minimum order of £100, meaning those not currently serviced by the three sites in Battersea, Camberwell and Canary Wharf will be able to get a taste of the kitchen’s acclaimed food. Top Picks: Tandoori mix grill, lamb biryani, prawn masala, chicken Karahi and masala fries. Atmosphere: As you’re sitting in your own house, the atmosphere is unbelievable. You’re got amazing food whilst sitting with your feet up. What more could you want? To see more of Motu head to their website.